Jump drives, thumb drives, flash drives, USB drives—whatever you want to call them—are little storage devices. While functional and helpful (I keep one with me at all times), they can also be fun and adorable and silly. 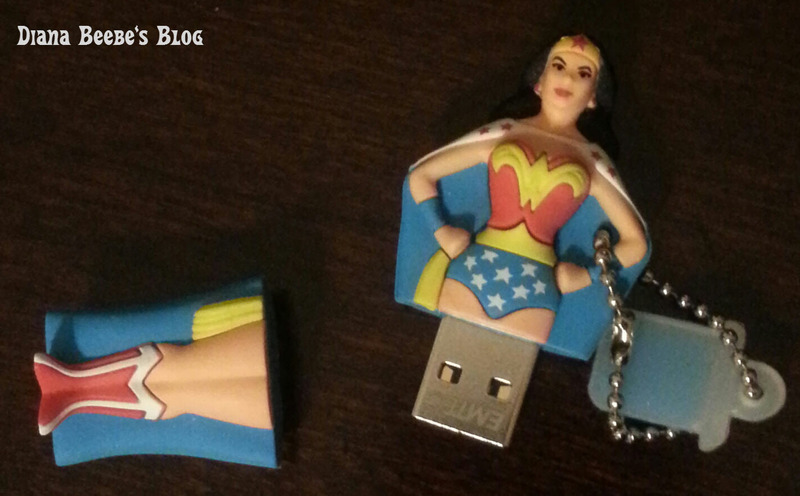 Wonder Woman is pretty awesome as a thumb drive, don’t you think? And hiding in plain sight. On one of my Pinterest boards, I pinned a couple of drives that can do just that. One is a bracelet. The other is a dragon figure. I’ve seen Star Wars characters, too. They look like action figures (sort of). So where am I going with that? In my YA Science Fiction work in progress, GLOW, hidden-in-plain-sight and encrypted jump drives play a part in the story. Do you care if your thumb drives are decorative or functional? Do you encrypt them?